While purchasing a residential property, you should opt to stay in an area that is showing immense signs of development. Not only does locational advantage count, but it is also one of the most important aspects of selecting a residential property. This is because it is not only your satisfaction, but also a satisfactory living for your next generation that you would want to witness. If you are planning to purchase a luxury home in a metropolitan city, taking into account the aforesaid features, the city of Gurgaon will serve your purpose well. When we talk about Gurgaon, it has more than just the locational advantage. The city comes with a plethora of residential features that are not available anywhere else. 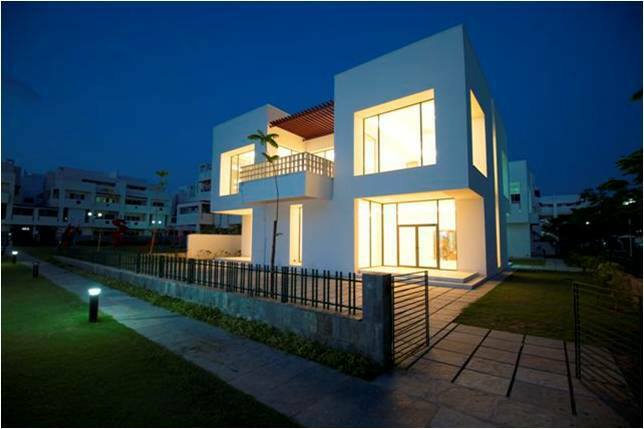 The varied real estate options in Gurgaon include independent villas and luxury homes. These villas, built by world class developers, are spacious and beautiful homes with plush amenities. There are a number of new residential projects in Gurgaon that are townships comprising of luxury villas and row houses. These townships are complete with social infrastructure such as healthcare, schools, shopping centers, entertainment venues, etc. They are generally integrated within the townships, which spreads across acres of land. Some of them are equipped with environment friendly attributes such as solar lighting, rainwater harvesting pits, organic waste, sewage treatment plants, etc. Such planned development is a catalyst for a new hub of modern living. The new townships in Gurgaon are aesthetically pleasing, right from broad walkways with tree lined avenues, to landscaped roads with provision for piped gas network and fibre optic cabling. The entire township has round the clock central power back up. So, it is a normal feature to have independent villas in Gurgaon with 24 hr power back up. Buyers stay benefited when it comes to independent villas and luxury homes in Gurgaon. The city has good connectivity to Delhi and other places because of the Gurgaon expressway and NH-8. It is also close to the international airport, providing great connectivity to other parts of India and the world. Along with a number of commercial offices and retail spaces, your independent villas in Gurgaon will be close to the corporate hub of India. There are various MNC’s and other big companies in close proximity, offering great business and work opportunities. A number of housing projects in NCR offer villas of premium quality. These four to five bedroom villas display distinct architecture. They are an epitome of luxury having generous interiors and high ceilings. Every unit comprises of landscaped balconies, roof gardens, as well as pocket gardens. They are generally built in European style with sprawling spaces. Other amenities that come along with villas are kid’s play area, swimming pool, multipurpose rooms, and good security features such as cameras and intercom. So, buy a luxury villa in Gurgaon and have the perfect blend of top-class amenities and magnificent space planning, along with cosmopolitan sophistication. This entry was posted in Residential Space and tagged Housing Projects in NCR, independent villas in Gurgaon with 24 hr power back up, New residential projects in Gurgaon, Villa in Gurgaon on February 9, 2015 by Admin.